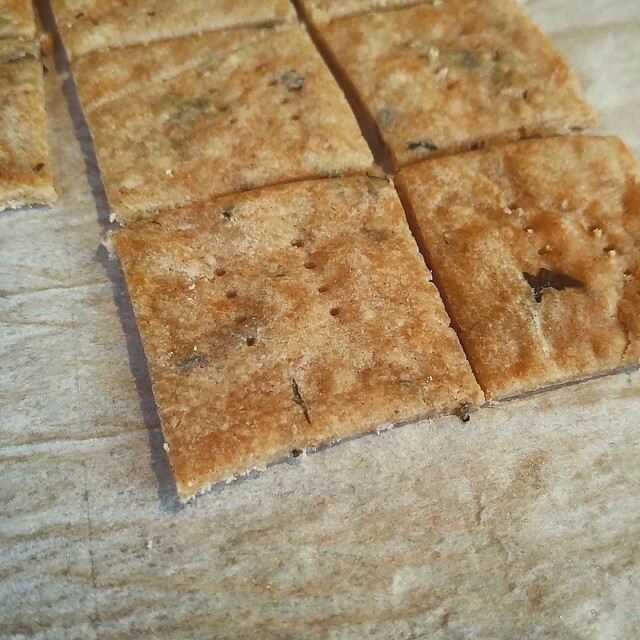 Rich Herbed Crackers | What Smells So Good? As Winter continues, I've realized that more than the short sleeves and 30C days, I miss the freshness of my vegetable and herb gardens. During the season, it always seems like there's far too much of both the veggies and the herbs, but once they're done it's a dearth for another 5-6 months! Luckily, canning, freezing and dehydrating work wonders to preserve the bounty, and by doing it myself I can control what happens with the formulation. Of course, some things just aren't as good preserved one way or another, like my lemon balm and basil. These, I realized as I made a compound butter for my favourite roast chicken, that most herbs, even the most delicate and dainty ones, explode flavour wise in a fat or oil medium. I decided I would use the rest of the butter (it happened to be EB Buttery Sticks since I was cooking with dairy-allergic guests coming) as a "catch all" herb butter, spiked with lemon zest, for future roasting and baking whims. 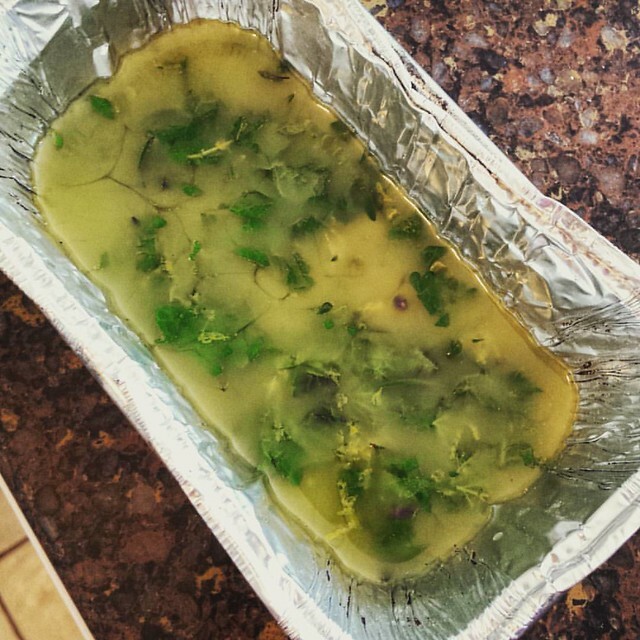 Melt together the butter and zest, remove from heat. Pour into mini loaf pan or mould of choice and refrigerate until firm. I made a good amount of the herb butter this summer, and to keep it around for longer, I wrapped each block in waxed paper and foil before freezing them. This holiday, we used up some of it in herbed vegetables at dinner and tossed with pasta, and to add to the spread for the New Year's festivities, I made a couple batches of these excellent "butter crackers". We do a lot of entertaining around this time of year, and while it's usually the same group of people coming by, there is always the chance of an unexpected guest. As well as needing nibbles for home, I was putting together the last of my holiday gift boxes of goodies, which included those for two of my gluten-free friends. To keep things simple (and doable in one day) I used a recipe from Gluten Free on a Shoestring and adapted it to work with what I had on hand. The resulting crackers are light, savoury, crispy and not at all greasy, and stood up well to dips like hummus or even a few goodies from our cheese platter. In fact, my mom helped us eat some of the "edges" that weren't perfect squares by topping them with homemade cranberry sauce! Heat the oven to 375°F and line rimmed baking sheets with parchment paper. In a large bowl, combine the flour, baking powder, sugar, paprika, nutritional yeast and salt. Cut in the butter until the mixture resembles small pebbles. Add the oil and stir to combine. Add the water a bit at a time, stirring constantly until the dough begins to come together. Wrap the dough in plastic wrap, and place in the refrigerator at least 30 minutes, up to overnight. Roll out about ⅛” thick and cut into shapes. Dock crackers with a fork and place on prepared baking sheets about ½” apart.